Rhythm Kids Level 1 is the next musical step for your preschool child (ages 4–5) with a parent or caregiver. Each week we drum, sing, dance, play rhythm instruments, and begin to play music-based games. 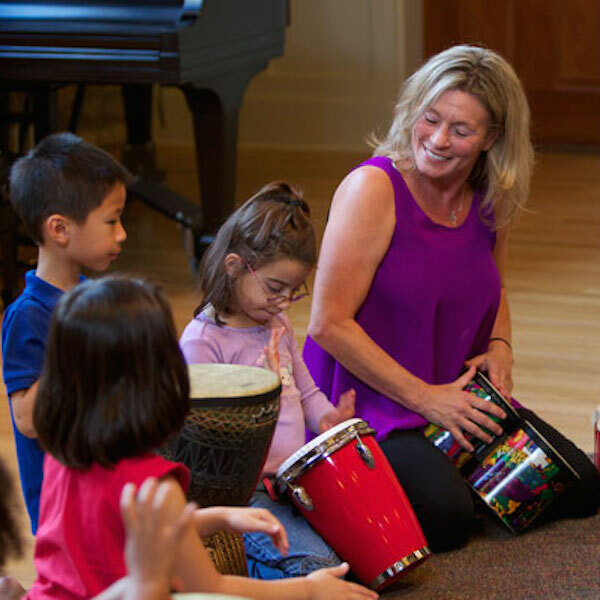 Rhythm Kids Level 1 guides children toward developmentally appropriate music and movement activities, where they can begin to take charge, lead others, and be musically creative.